The USA just got Trumped. Donald Trump is our new president, and it won't be long until he is in charge of the country. 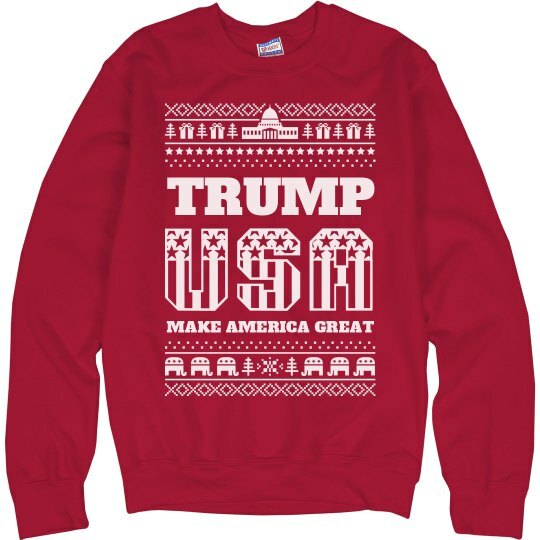 Show your support for the Donald with this awesome and patriotic ugly Christmas sweater.